CHICAGO: Tens of millions of people in the United States are bracing for a potentially life-threatening deep arctic chill forecast to hit swaths of the country today. Companies have told their workers to stay home, schools are closed and hundreds of flights have been canceled. The US Postal Service — known for its commitment to bringing the mail whatever the weather — has even reportedly suspended deliveries in Iowa due to the severe cold. Temperatures in almost a dozen states stretching more than 1,200 miles from the Dakotas to Ohio were forecast to be the coldest in a generation, if not on record. “One of the coldest arctic air mass intrusions in recent memory is surging south into the Upper Midwest before spreading across much of the eastern two-thirds of the country,” the National Weather Service said. “Expect frigid temperatures, bitterly cold and life-threatening wind chills, likely leading to widespread record lows and low maximum temperatures from the Upper Midwest to the Great Lakes and Ohio Valley.” The cause is a swirl of arctic air that broke away from the polar vortex that usually encircles the North Pole. The National Weather Service forecast temperatures between -10 to -40 degrees Fahrenheit (-23 to -40 Celsius) by Wednesday across the Midwest, with wind chills making it seem as cold as -65 degrees Fahrenheit in one area of Minnesota. Chicago, America’s third largest city, was expected to be colder than parts of Antarctica. Authorities in Illinois, Michigan and Wisconsin put emergency measures in place to handle the frigid weather. “We need everyone to do your part and make sure you and your families are prepared,” said Illinois Governor JB Pritzker. Some 160 warming centers were opened in Chicago, where temperatures could potentially equal or exceed the all-time record of -27 degrees Fahrenheit. With the wind chill, it would feel like -40 or -50, officials said. “They are life-threatening conditions and temperatures,” Chicago Mayor Rahm Emanuel told a news conference. 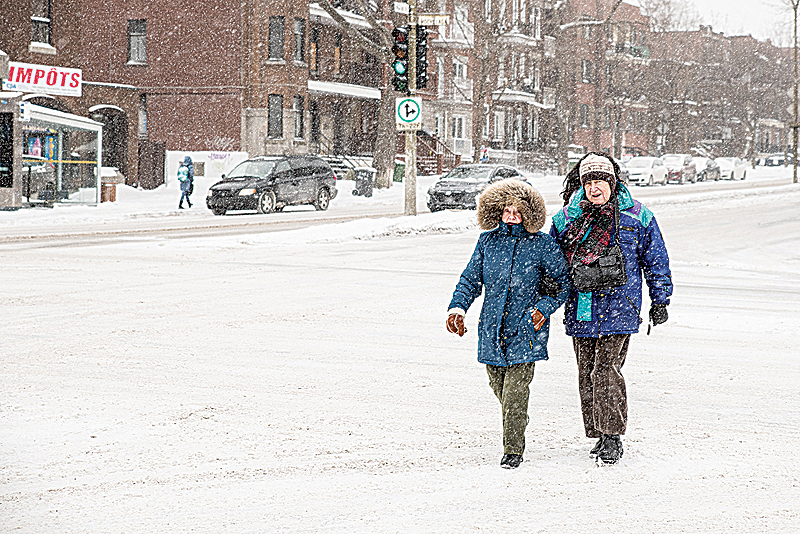 In Minneapolis, officials allowed residents to stay on public buses and trains for warmth. In the northeastern and southern United States, snow was falling. A cold emergency was declared in the US capital Washington, with additional services put on for the homeless. In Atlanta, some 300 flights were canceled Tuesday as the city prepares for the Super Bowl and more than 400 were canceled in Chicago, a major regional hub for US airlines. In Canada, the icy temperatures — stretching from Manitoba in the western Prairies region to the Atlantic seaboard — prompted a rare “hazardous” cold warning from the government. Environment Canada reported record-breaking snowfall at the Ottawa airport, where some 50 flights were canceled, with an accumulation of nearly a meter (more than three feet). An additional 200 flights were canceled at Toronto’s airport.